With this unique combination of expertise in mathematics, software and intelligence, Darktrace has delivered the world’s first operational Enterprise Immune System. Our leading-edge solution gives organizations the ability to detect emerging cyber-threats, allowing them the opportunity to proactively defend against in-progress cyber-attacks. 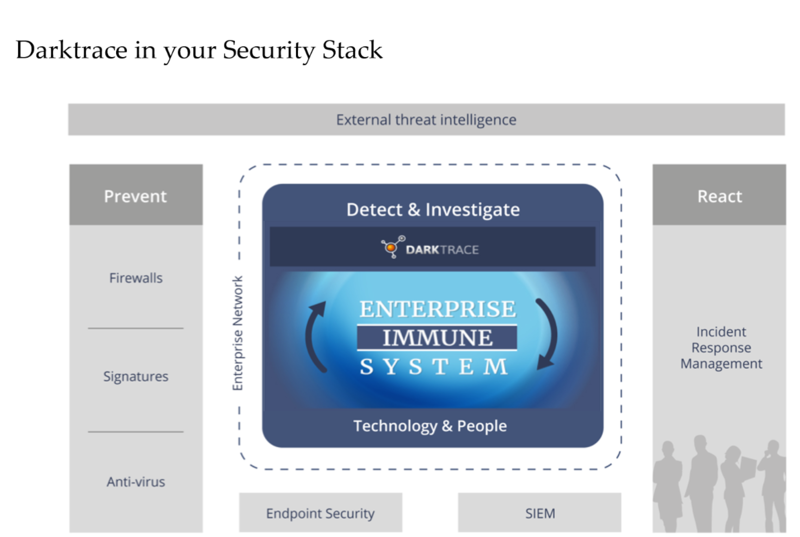 Darktrace’s award-winning Enterprise Immune System technology is uniquely capable of detecting and responding to the most subtle cyber-threats within the network, including insider threat. Powered by advanced machine learning and mathematics, the Enterprise Immune System automatically and adaptively learns the ‘pattern of life’ for every user, device and network, in order to detect emerging behaviors that represent real threats. This self-learning technology provides corporations with comprehensive visibility into their networks’ activity, allowing them to proactively respond to threats and mitigate risk. 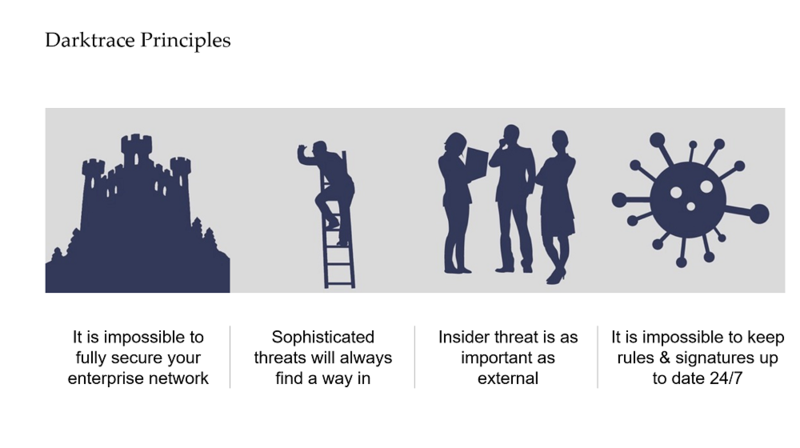 The legacy approach of surrounding your information with higher and higher walls is not sufficient against today’s threat landscape. New advances in machine learning and mathematics, developed by specialists from the University of Cambridge, have allowed a new era of cyber security, which takes for granted that threat is permanently inside the network. Instead of predefining ‘bad’ behaviors and relying on prior knowledge about previous attack methods, Darktrace’s machine learning is capable of automatically modeling and clustering information dynamically and at speed.